The team at Collective Sol are passionate about selecting handmade, one of a kind items from all over the world. Our latest ethically sourced African Market Basket collection aligns perfectly with these values, coming all the way from local artisans in Ghana. 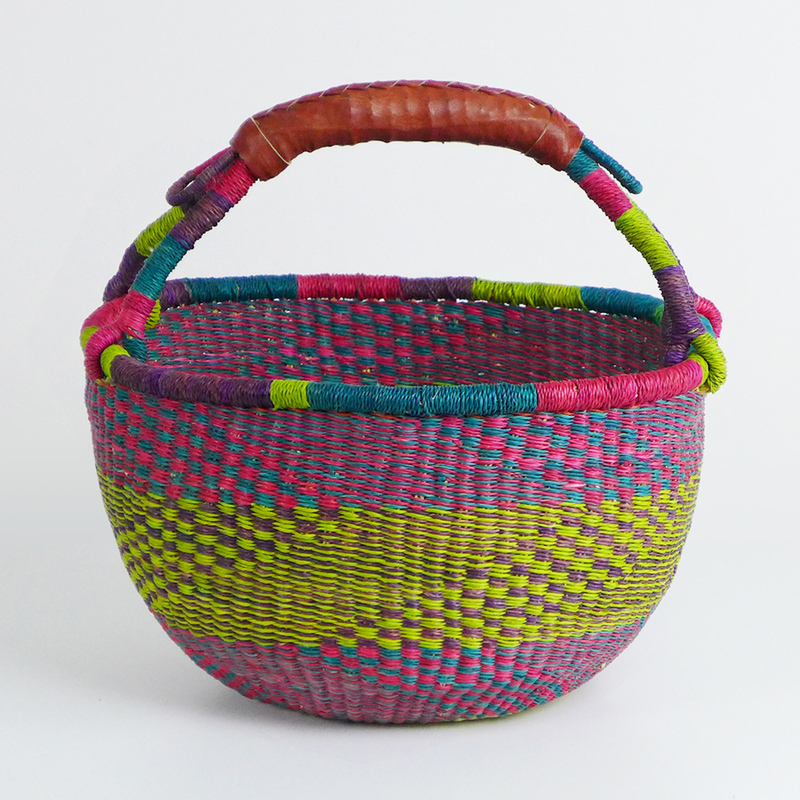 A colourful and unique addition to our online store, the African Market Baskets come from Fair Trade Federation sources. These sources support the artisans so they may, in turn, sustainably support their families and communities too. The Fair Trade Federation is a community of business leaders who go above and beyond to create opportunities for disadvantaged artisans and farmers around the world. Working with the Fair Trade Federation means that all of our baskets are sourced ethically and responsibly. We believe that it matters where our items comes from. It tells a story of where we have been and where we are going. Each of our pieces are made with love and hold a sense of comfort and possibility. These new, beautiful baskets are no exception. 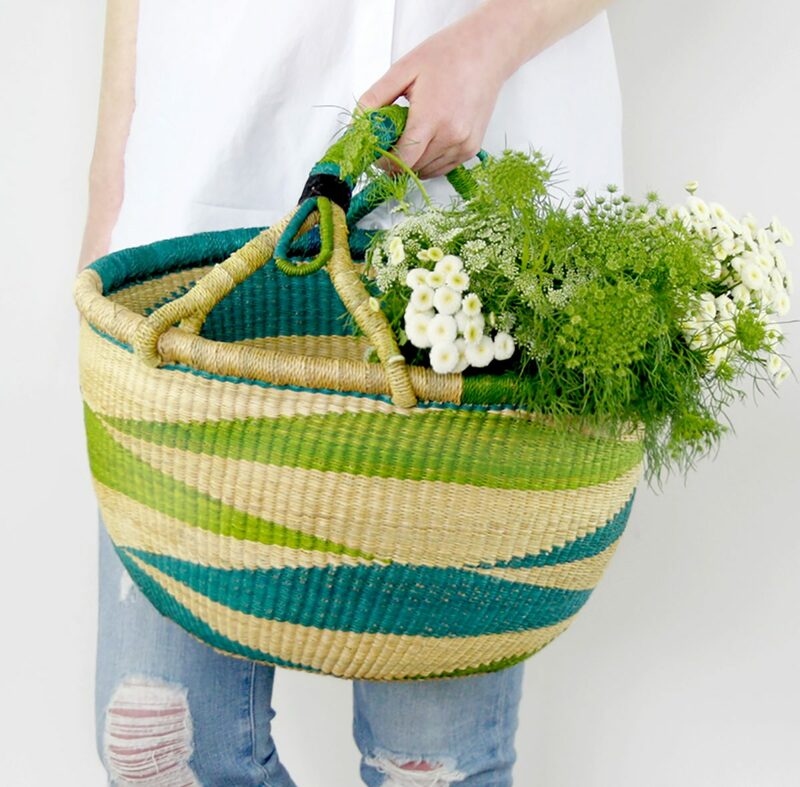 The African Market Baskets are beautifully handmade from elephant grass and dyed in brilliant colours, each with a unique look that expresses the heart of its creator and tells a story of the women who created them. True to tradition, the basket is durable and malleable so that you can shape it to truly reflect who you are. The bag is a perfect accessory for a weekend morning at the farmer’s markets or an afternoon picnic with friends and family. Adventure is sure to find you as you carry this special piece around town. As each basket was hand selected, we currently only have one of each basket. This makes your purchase truly unique and wonderful.